Many authors are seeking a way to create a recurring revenue model for their writing and educational careers, but for new and even experienced writers, it is difficult to make a living from the sale of books only. Many writers use books as an up sell to a more lucrative consulting business, but there is an issue here too where the writer has a book product priced at less than $30 and a consultation or speaking service priced much much higher. Most don't have products that can fit any budget and are missing sales opportunities. The solution is to create an incrementally priced set of products that can fit into every budget and capture every possible sale. As an example, if a motivational speaker charges $5,000 or more for a speaking engagement and has a $20 book, but no services priced in between, they are missing out on a lot of business that could come in at $100, $500, $1,000, etc. Consulting in the $100-$500 price range works for many authors. Others create mastermind groups for weekly one-hour classes with 10-15 people. In our surveys, we have found that the most successful writers offer a wide variety of services that are priced in such a way that they can fit in every budget. As you build your customer base, it is also very important to always have a new product available that they can buy. Many writers create face-to-face classes or workshops that provide in-depth information as a new product (service) they can sell. The primary problems here include renting a venue, changing the venue if too many people sign up, attendees having to drive there, etc. Many educators are taking this approach to the web with online with webinars or teleseminars. These can either be a one-time class or multi-week class. The instructor can work from home or pretty much anywhere and the attendees can be anywhere in the world. This is a truly "green" approach to traditional face-to-face workshops and it expands the audience to a global market. There are several key advantages with providing online workshops including integrated marketing and sales techniques as well as automated prospect and customer list building. There are also several new best practices associated with designing presentations including formatting the presentation into short segments (attention spans are getting shorter) and engaging the audience at the end of each segment (QA). 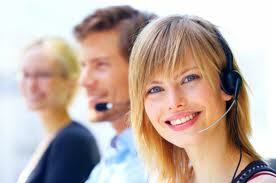 Using technology for follow up and up sells for future events and other products is also an advantage. When you put all this together, we call this fully integrated system and set of best practices the "eWorkshop". It is more powerful than a teleseminar in that it has the visual component of webinars. Although it uses webinar technologies in most cases to capture the presentation, it is more powerful in that the webinars are broken into bite sized pieces that can be viewed later, sold on a subscription bases (recurring revenue model), indexed by search engines (SEO), and searched from a central database. 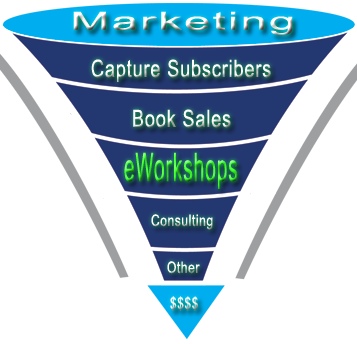 The goal of the eWorkshop is to create content online that can be sold, expand author audiences to the global market and create that all-important recurring revenue model, which can be developed through a monthly series of eWorkshops made available on a subscription basis. The following represents the potential monthly revenue available from various pricing within an eWorkshop subscription based program. The following are the best practices associated with the eWorkshop and each requires a specific set of skills to do it yourself. Note that you will need useful information, such as a set of published articles or a book and some idea of your market before you get started. This will help to build an engaging presentation. Although you can do it all yourself, there is a huge learning curve associated with each of these tasks and you would do better to focus on your content and bring in others to provide the services associated with each task. The eWorkshop needs to be divided into segments that can be easily edited into short videos and more importantly engage the audience at regular intervals, typically 3-5 minutes of presentation and 1-3 minutes of QA. You also need a webinar provider that allows you to download the presentation into an editable file format and some video editing software. For newbies, it is also important to have a moderator to help manage the technology and create a fluid presentation. Instead of having a single page with all of the videos posted on it, a better approach is to have a separate web page for each video and an index page with a listing of all of the available videos associated with the eWorkshop. Each video page and the index page should be fully optimized for search engines and provide a link to the sales page for visitors interested in buying the eWorkshop. Social Media Marketing (SMM) is a great way to generate interest in your eWorkshops, but this is a relatively new form of advertising, so you may need help with this. We provide a full range of SMM services. Email marketing can be very effective too, but you have to first build your list. We can help with this too. If you are already networking face-to-face, hopefully you are using it to build your email and contact list. We provide details on best practices for this too. We have an entire system designed to promote and market your eWorkshops once you get them set up and published. When you are ready to discuss an eWorkshop training program for your organization, we are ready to help. Contact Us to set up a free consultation.